A splendid decal to decorate the bedroom of your child! A design from our collection of rainbow wall stickers which is ideal for the little ones. Let your child embark on an adventure to the other end of the rainbow to find the leprechaun and a pot of gold. Is your child's bedroom or playroom too dull and empty? Do you feel like the walls need some decoration? 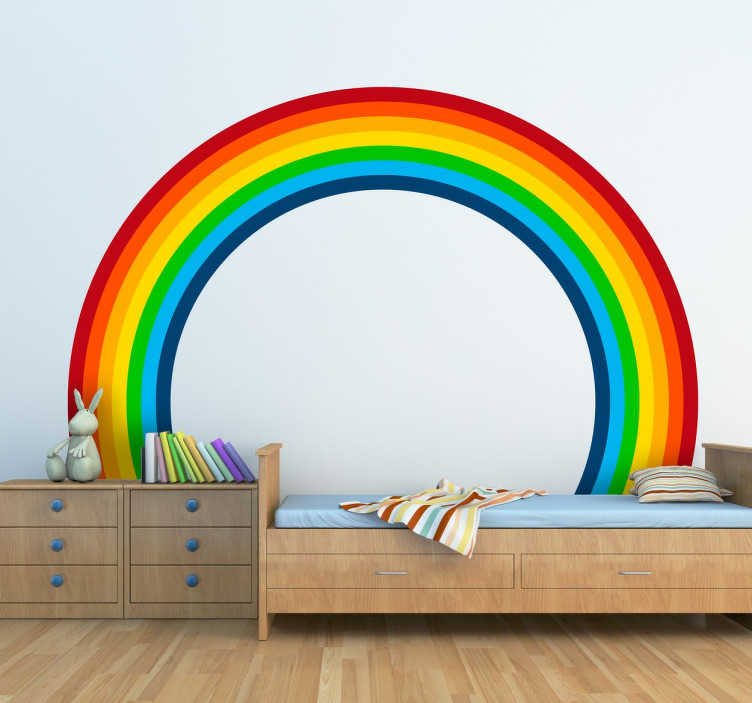 If yes, this fantastic rainbow wall art decal is for you! This rainbow provides a fresh, colourful and cheerful atmosphere to your child's room. This perfect arched rainbow sticker is available in many sizes so choose the size that best fits your wall or any smooth surface of your choice. Absolutely easy to apply and does not leave any residue upon removal.